In April, ahead of the World Bank and IMF spring meetings in Washington DC, NGO Oxfam International released a report titled The IFC and tax havens where it revealed that 51 of the 68 companies in which the International Finance Corporation (IFC, the World Bank’s private sector lending arm) invested in sub-Saharan Africa in 2015 use tax havens. The report argued that this leaves countries in the region at risk of being deprived of essential resources to meet their human rights obligations and the Sustainable Development Goals. 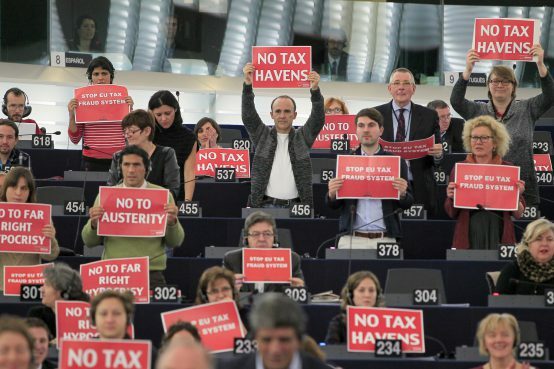 The topic of tax justice has once again come to world attention in the wake of the April release of the Panama Papers, which coincided with discussions about the essential role of domestic resource mobilisation in the pursuit of the Sustainable Development Goals and the focus by the international community to capitalise on the development role to be played by the private sector. In July civil society organisations submitted a briefing document to the World Bank executive directors ahead of the board meeting to discuss the IFC’s Offshore Financial Centres policy. They argued that in order to ensure that IFC investment policies and safeguards are consistent with its development mandate, the board must hold the IFC accountable for the development and implementation of a tax-responsible investment policy. They stressed that the policy should be developed in consultation with civil society and that at a minimum it should include “due diligence beyond legal compliance to ensure that the IFC cannot invest in companies with aggressive or abusive tax practice in relation to the use of tax havens, intra-firm financing, pricing of intangibles, use of tax incentives, etc” and that the IFC take “active ownership to encourage responsible tax practice from clients such as public country-by-country reporting and public beneficial ownership information.” The organisations also demanded that the recommendations apply equally to direct and indirect investments through financial intermediaries. Sara Jespersen from NGO Oxfam IBIS in Denmark stated: “many development finance institutions are taking the responsible tax agenda very seriously by developing tax policies and implementing due diligence tools that go beyond asking simply for legal compliance from the companies they work with”, adding that “the IFC must end all links between their lending and corporate tax dodging, as this amounts to giving with one hand and taking with another”.